Romania, having recently joined the European Union, must take further steps to respect the Convention on the Rights of the Child. Many Romanians are forced to live in poverty without the opportunity to enjoy all of their rights. The economic state of Romania is very poor. This explains why a quarter of the population still lives below the poverty line. These poverty-stricken families, far from enjoying their fundamental rights, have little hope for change. Thus the children from these families live in difficult conditions where access to health, education, etc. are compromised. The poverty prevalent in rural villages forces many children to work. Though it is estimated that today only 1% of children are working in Romania, this number is still a concern. These children, who are providing for their families, are often forced to beg, clean car windshields, or even work as brick makers. These jobs are detrimental to their physical and psychological development. These children, who often live on the street, are also victims of discrimination. Therefore, they have little hope of finding a better job and escaping. Romania faces a severe shortage of doctors. Rural areas, which make up a large proportion of the country, are very poor. Low wages and poor working conditions in these areas encourage doctors to work in cities or abroad. This situation has dire consequences for children’s health. For example, pregnant women are poorly attended to. More than 10,000 pregnancies per year are not assisted, explaining the large number of children born underweight. Also, this lack of doctors and of care causes Romanian children to be vulnerable to many diseases. Unfortunately, this increases the risk of children dying before the age of 5. It is estimated that 12% of Romanian children die before reaching that age. Many types of bad treatment towards children have been identified in Romania. These can take different forms: psychological, physical or sexual. Violence can be practiced within the family or by the authorities, and is seen as “normal” in this country. It is considered that hitting a child is a way of educating them. The situation regarding abduction of Romanian children is catastrophic. Mafia gangs are very active in Romania. They do not hesitate to recruit children, and children are sometimes given by parents in exchange for money. 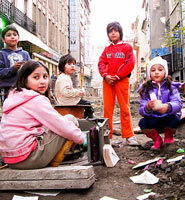 These children are often sent to France, and once in Paris they are used to loot parking meters, among other things. Children and their families are fearful that these gangs will use violence to enforce their orders. Children are subject to this trauma and there are many difficulties in escaping these gangs and returning home. In addition, girls are also victims of trafficking which often leads to prostitution.Abused by the gangs, they often have little hope of escaping. 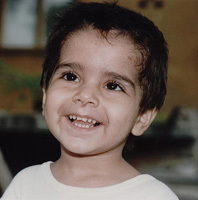 They are subjected to psychological and physical trauma from which it is difficult to recover. The Roma people, often called Gypsies, settled in Eastern Europe; more than 3 million of these live in Romania. Although they are from this country, acts of discrimination towards them are many. These people and their children live in extreme poverty. An estimated 40% live below the poverty line. Consequently, there are many repercussions on their physical health; for example, they have a life expectancy 15 years lower than other Romanians. Also, these people are victims of harsh discrimination towards both children and adults. Access to education, certain jobs and health and social services is often restricted. 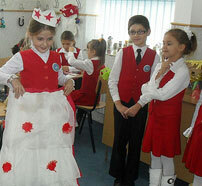 Education in Romania is compulsory from 6 to 15 years old. Children can study in public school or private according to their parent’s choice. Because of the difficult economic situation in the country, the government has reduced the budget for education. There is therefore a decrease in the number of teachers. In effect, low salaries and the status of teachers is declining, and so young people are discouraged from becoming teachers. With the decrease in school structures and teachers, the quality of education offered diminishes as well. Only about 90% of children are educated. Children from poor families are those most likely to be affected by this problem since their parents often prefer them to work rather than study. Romanian nationality can be transmitted as long as one of the parents is Romanian. 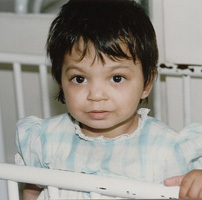 However, children are not always registered at birth in Romania, and therefore have no official identity. The children most vulnerable to this problem are those whose parents don’t have identity papers or a home in Romania. The illegality of their presence prevents them from recognizing their children to the authorities for fear of being sent back to their home countries. The situation and the development of these children can be very limited, since, without identity, access to public services such as education, health, etc. can very difficult.